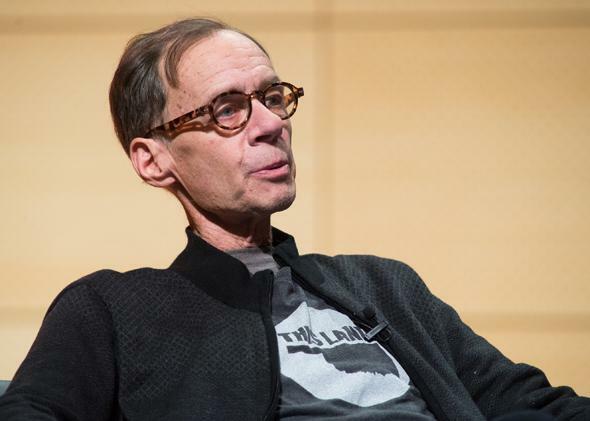 David Carr death: Read the Times media critic’s first big scoop. The writer’s brio, bravery, and good humor are all there, right from the beginning. New York Times columnist David Carr on Feb. 12, 2015, in New York City. David Carr was in his mid-20s when he took his first big step on the path that would eventually lead him to the New York Times. It was 1982. Carr, who died Thursday at age 58, was living in his hometown of Minneapolis when he heard a story about two black men getting arrested and beaten up by the cops. When a third man, who was standing nearby, asked the officers what they were doing, they came over and beat him up too. Carr’s source on this story was his dad, who was friends with the witness who’d dared to speak out and who had ended up in the hospital for his efforts. Carr decided to look into the event, interview everybody involved, and write it as a blockbuster about police brutality. Once he had a draft in hand, Carr, who discusses the piece in this Mediabistro video from 2012, strode into the editorial offices of the Twin Cities Reader, an alternative weekly, and gave them the hard sell: “I said, ‘Your newspaper’s been totally soft. It hasn’t had any real news in it. And I’ve got a story that I just think is gonna crack the police department wide open.’ ” His confidence was borne of hard work pulling records at the Minneapolis Police Department — something he’d never done before—and recruiting an inside source who provided him with a stack of documents. Carr buttonholed an editor and started “talking and talking and talking” about the 10,000-word draft he had written. The editor indicated, not a little impatiently, that he’d rather just have a look at the piece. Carr handed it over. The editor read it. He told Carr that the piece needed some work, but he wanted to run it on the cover in a week or two. Carr’s story, which ran under the headline “Citizen Trebtoske vs. the Police vs. the Mayor vs. the Council,” centered on Peter Trebtoske, his dad’s friend, who had refused to avert his eyes or keep his thoughts to himself when he saw the cops beating the men they’d just arrested. The locals watched and bitched, but they had seen bad action before and they all knew better than to step out and confront a hyped cop. All except Pete Trebtoske. He was a visitor from another part of town and had seen enough. He stepped out of the crowd and asked the police the wrong question. The question bought Trebtoske a trip downtown. A short stop at the jail for booking and then over to the hospital to get the answer to his question looked at. There’s an irony in the fact that Carr’s career began with a piece about a local whistleblower and ended, Thursday night, with an interview, conducted via satellite, of a whistleblower whose revelations have had a global impact. There’s also more than a bit of what we now recognize as Carr’s signature style to be found in this early effort. It’s a work of careful, clever reporting—he interviewed the doctor who was at the hospital when Trebtoske was brought in and got him to hand over his personal notes from that night. And despite the twinkle of Carr’s sense of humor, this is a piece plainly motivated by righteous outrage at the idea of powerful people abusing less powerful ones. Though the newspaper that printed it has been defunct for almost 20 years—Carr was its editor from 1993 to 1995—it’s a piece that, given the country’s renewed focus on police misconduct, wouldn’t seem out of place if it was published today. Last summer, Carr wrote another piece about police brutality, this one about the protests in Ferguson, Missouri. The subject of his piece was not the protests themselves, but the way they were being covered, by the media and by anyone with a phone and a Twitter account. But it was clear from Carr’s prose, as it always was, that he cared about the media angle because he believed the media had a role to play in making the world better. Carr started doing his part early. He didn’t get to do it for nearly long enough.